The Right Reverend Archimandrite Fadi Rabbat was born in Achrafieh, Beirut (Lebanon) on December 19, 1977. As a young boy, he studied at the schools of the French Catholic Christian Brothers of Saint John Baptist de la Salle and Saint Mary School in Beit-Meri. After earning a Bachelor of Arts in Philosophy from Beit Meri Official Secondary School, he went on to study law, earning License Degrees in Lebanese law and general law, as well as a Master’s Degree in Public Law (DEA) from Holy Spirit University - USEK - Lebanon. He continued studying law in France, where he earned a Master’s Degree in public law (DESU)and eventually a Ph.D. from Pierre Couvrat Doctoral School of Poitiers University. He returned to Lebanon and started teaching law at his alma mater at the age of 24, making him the youngest law professor in the Middle East. He is regarded as a prominent scholar, having authored numerous articles that have been published in Arabic, French, Spanish, and English, including two of his doctoral Dissertations entitled “Le Juge et la preuve dans le contentieux administratif Libanais et Français” (2014) and “L'Eglise orthodoxe d’Antioche, le mariage et le mariage mixte. Histoire, réalité et perspectives” (2016). Archimandrite Fadi was always interested in theology and the tradition of the Orthodox Church. He combined his love for the law and the Church by studying canonical law and earning a Ph.D. from the Institute of Canonical Law (Faculty of Religious Sciences) of Strasbourg University in France. 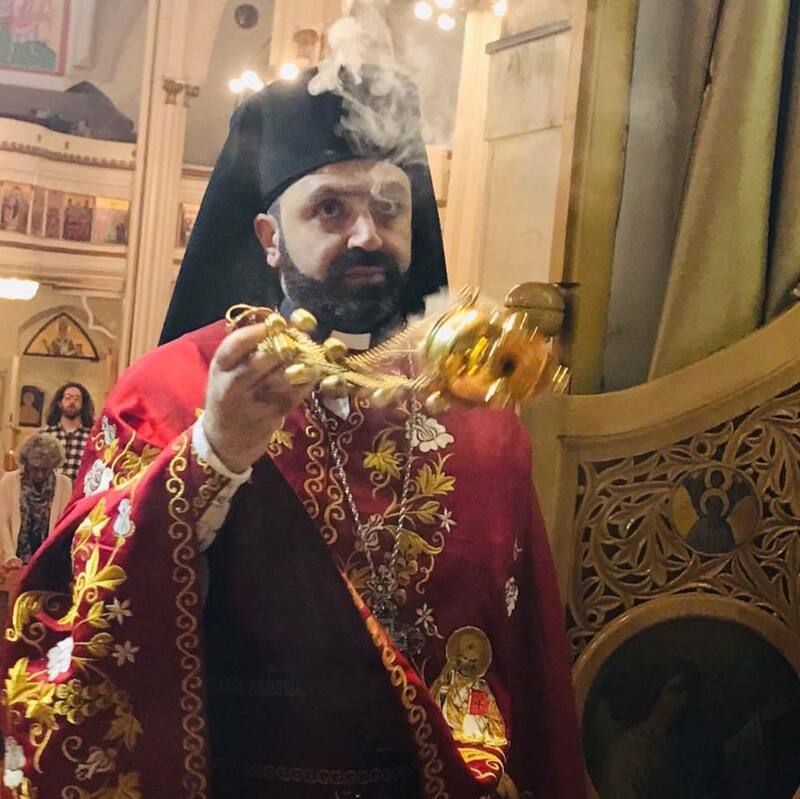 On March 21, 2009, Archimandrite Fadi was ordained to the diaconate under the omophorion of His Eminence Elias Kfoury,Metropolitan of Tire and Sidon – Lebanon. From 2009 to 2011 he worked as judge of the ecclesiastical court and Chancellor of the Archdiocese of Tire and Sidon – Lebanon. On August 21, 2011, he was admitted to the order of the priesthood at the Patriarchal Monastery of St. Elias Chwaya in Lebanon by the laying on of hands of His Eminence Antonio Chedraoui, Metropolitan of Mexico and dependencies, of thrice Blessed Memory, who also granted him, in the same liturgy, the rank of Archimandrite. Since then, Archimandrite Fadi was appointed Secretary and Chancellor of the Archdiocese of Mexico, Venezuela, Central America and the Caribbean Sea by His Eminence Antonio. In 2012 he was assigned to serve as rector of the Cathedral of St. George in Mexico City. While there, he evangelized many Latino Americans in their conversion to Orthodox Christianity and was a leader and spiritual guide to countless Orthodox youth. He also lectured on various topics, including Eastern Patristics, Byzantine Iconography, and Human Rights, and was awarded three Doctorates Honoris Causa from Mexican universities: Universidad Instituto Americano Cultural, Organización Mundial de los Abogados, and Instituto Mexicano de Líderes de Excelencia. He has been member of the National Advocacy Council of Mexico, the Mexican National Association of Doctors in Law, and the National Council of the Mexican-Lebanese Legal Society “Al Muhami”. 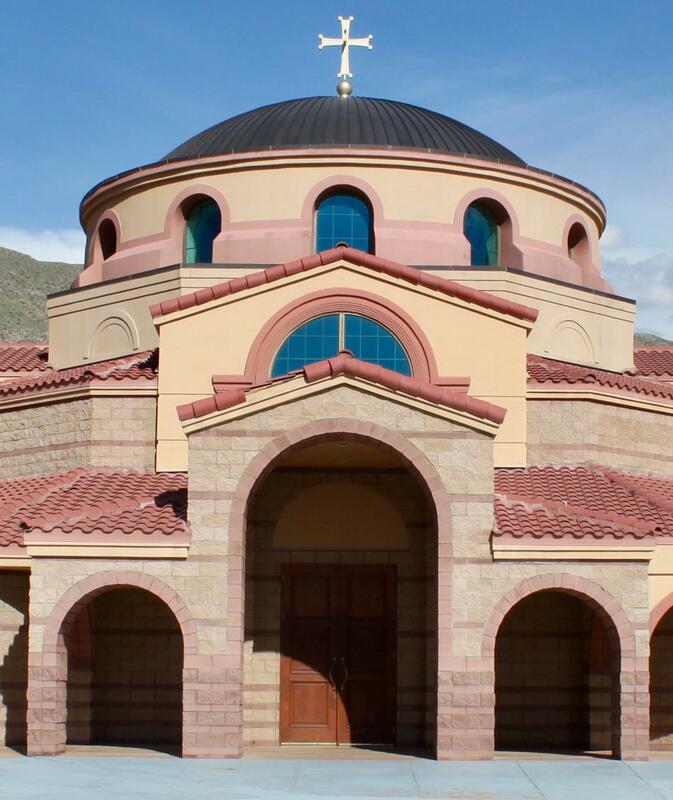 He remains active in the Antiochian Orthodox Archdiocese of North America assisting the Metropolitan and currently serving our beloved parish as Interim Pastor.